Yesterday after the first rain I tootled out of THO and went down the back road to see what the forest looks like from the other concession road. I think it looks surprisingly good! This is the back 50 of the original farm, but this was subdivided a long time ago. 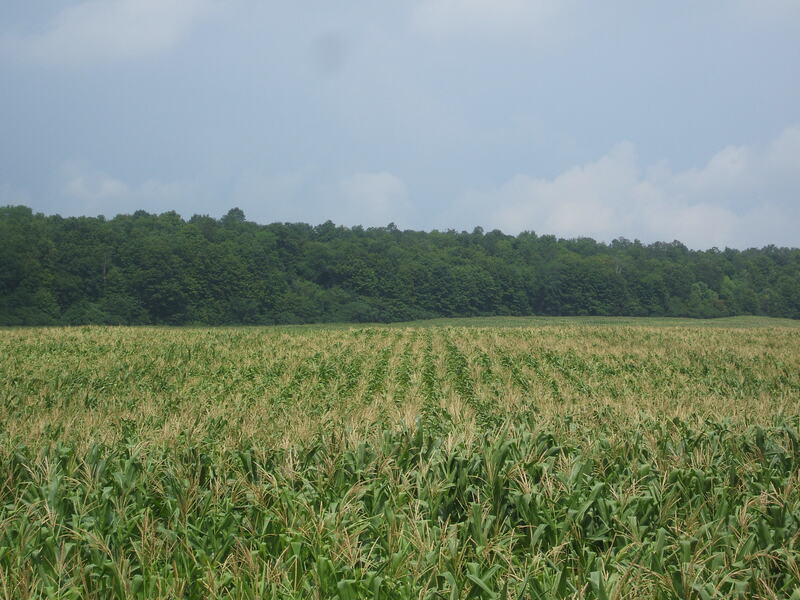 The ten acre parcel that belongs to us, is all forest and starts here where the corn stops. This entire tree line is ours and it goes back about a kilometre from the edge of there. It is a good bit of land for one TIny House! I can’t emphasize enough, that it is nice to have had the rain! I feel so much relief for the sake of the trees and thus my worry subsides for the time being.